It wasn’t part of Ghada Gabr’s grand plan to become a pharmacist and pharmacy owner in Nova Scotia but a series of events brought her here – twice. The first time Ghada arrived in Nova Scotia, she was a new pharmacy graduate travelling with her husband who was completing a PhD at Dalhousie University. After working hard to obtain her license in Nova Scotia, she joined the Shoppers Drug Mart group as a part-time pharmacist, while also working part-time at Capital Health. 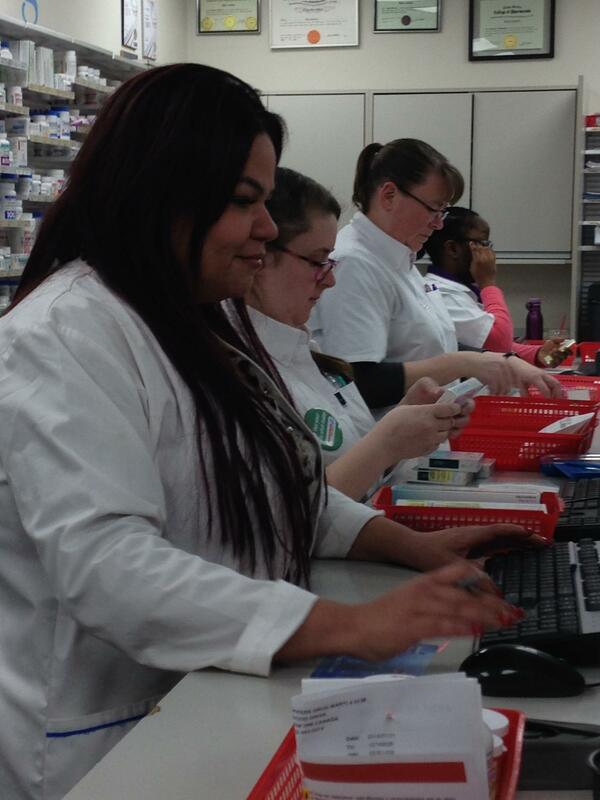 While at Shoppers Drug Mart, she was recommended for their Leadership and Excellent Program. Through that she was recruited by company officials in Toronto to take over a pharmacy in Ottawa. This meant leaving family behind for six months, until they could join her. At one point, Ghada was running three pharmacies. Last year, things seem to come together for Ghada when her husband was offered a job with Nova Scotia Power and the Shoppers Drug Mart pharmacy in Clayton Park became available. There was stiff competition for the store, but Ghada was successful and she was able to return to her adopted home. “Here, the sky is the limit,” says Ghada. When she and her husband first arrived, they had $600 in their pockets and Ghada worked at Tim Hortons to make ends meet. Since taking over the Clayton Park pharmacy, things have been going great. Ghada credits her staff for the pharmacy’s success. She has two Pharmacy technicians working to their full scope of practice as well as fantastic pharmacists and assistants. She says its important to have a happy staff, because they will do anything for you. When one of their team had a cancer diagnosis, they teamed up to raise money to make a donation in their teammates name for breast cancer research. Ghada says that the practice of Pharmacy in Egypt is very different that in Nova Scotia and she had a lot to learn. Things are also different in Ontario. Sher says that she was amazed about how advanced they are here in Nova Scotia but she quickly embraced it. She says she learns from her staff all the time. She says its important to always listen to her staff.